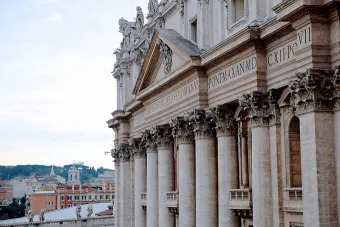 Vatican City, Jan 22, 2019 / 08:36 am (CNA/EWTN News).- In a statement Tuesday the Vatican again denied having prior knowledge of sexual abuse allegations against Argentine Bishop Gustavo Oscar Zanchetta before his December 2017 appointment to a Vatican office. In a Jan. 22 statement, interim director of the Vatican Press Office Alessandro Gisotti “resolutely” repeated a Jan. 4 Vatican statement that said no sexual abuse charges had yet emerged against the bishop at the time Pope Francis appointed Zanchetta to the Administration of the Patrimony of the Apostolic See (APSA) in December 2017. Gisotti said the charges only emerged in the fall of 2018. The Vatican’s latest statement came in response to recent articles on the Zanchetta allegations carried by several news outlets. Gisotti said it was necessary to correct “some misleading reconstructions.” He also confirmed that Zanchetta’s case is being studied and that “information will be forthcoming regarding the results” of that process. After spending some time in Spain, Zanchetta took up the position of assessor at APSA, which manages the Holy See’s assets and real estate holdings, in December 2017. In a Jan. 20 report from the Associated Press, Zanchetta’s former vicar general said that information about alleged sexual abuse by Zanchetta had been sent to Rome several years prior to the Argentine bishop’s appointment to APSA. Fr. Juan Jose Manzano, Zanchetta’s former vicar general in the diocese of Orán, told the AP that the Vatican received complaints against Zanchetta in both 2015 and 2017. According to Manzano, these complaints concerned alleged “obscene behavior” by Zanchetta, misconduct and sexual harassment of adult seminarians, and the possession of naked selfies on the bishop’s phone. “In 2015, we just sent a ‘digital support’ with selfie photos of the previous bishop in obscene or out of place behavior that seemed inappropriate and dangerous,” Manzano, now a parish priest in Argentina, told the AP. The 2015 complaint against Zanchetta was not issued as an official canonical complaint, he noted. 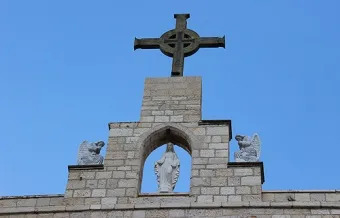 According to Gisotti’s Jan. 4 statement, the current Bishop of Oran is in the process of collecting testimonies regarding allegations against Zanchetta, which will be sent to the Congregation for Bishops. Zanchetta has been placed on temporary leave from his APSA position while the investigation is ongoing. Vatican City, Jul 3, 2018 / 10:20 am (CNA/EWTN News).- For two cardinals helping to organize Pope Francis’ upcoming trip to Bari, the event is a chance to highlight not only the historic religious presence of Christianity in the Middle East, but also the social contribution the various rites and churches bring to the region. Koch spoke to the press alongside Cardinal Leonardo Sandri, prefect of the Congregation for the Oriental Churches, at a briefing on Pope Francis’ July 7 trip to Bari for an ecumenical gathering aimed at promoting peace in the Middle East. The trip, he said, is an illustration the pope’s attention to the Eastern Catholic community in the Middle East and the well-being of Orthodox Churches in the region, and his relationship with heads of Orthodox Churches, as well as his concern for the Muslim community and for regional minorities. 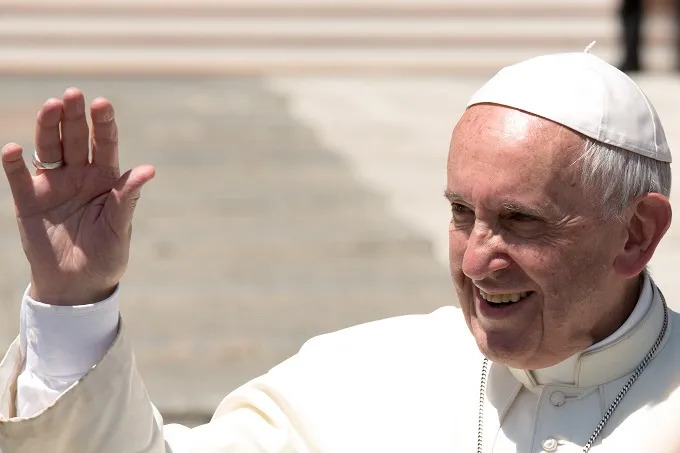 Vatican City, Jun 7, 2017 / 04:43 am (CNA/EWTN News).- On Wednesday Pope Francis said that one of the greatest mysteries of the Christian faith is that we have a God we are taught to call ‘Father’ – a father who never leaves us and who we can call on in prayer at any moment. “The entire mystery of Christian prayer is summed up here, in this word: to have the courage to call God by the name of Father,” the Pope said June 7. The fatherhood of God, which Francis called “the source of our hope,” formed the basis of his general audience catechesis. Addressing crowds gathered in St. Peter’s Square, the Pope immediately recalled the parable of the “merciful father,” also known as the Prodigal Son. The father in this story, he said, does not punish his son for his arrogance, but still gives him his share of the inheritance, later welcoming him back home even after he had squandered it. However, despite this familiarity, to call God by the name of “Father” is not necessarily something we merit or understand, he said. In fact, sometimes it seems like we should use only the highest titles to address God, because it would be more respectful of his divinity. “Instead, invoking him as ‘Father’ puts us in a relationship of trust with Him, as a child who turns to his dad, knowing he is loved and cared for by him,” Francis said, adding that despite the grand mystery and greatness of God, which can often make us feel small, we are not afraid. Going on, Pope Francis said the Gospel reveals to us that no matter what, God the Father is there for us. When we need help, Jesus tells us to turn to the Father with confidence, never closing ourselves off, or becoming resigned, he said. “All of our necessities, from the most obvious and every day – such as food, health and work, to being forgiven and sustained in temptations – are not the mirror of our solitude: there is a Father who is always there looking with love, and who surely does not abandon us,” he said. Is Donald Wuerl working at the Vatican now?